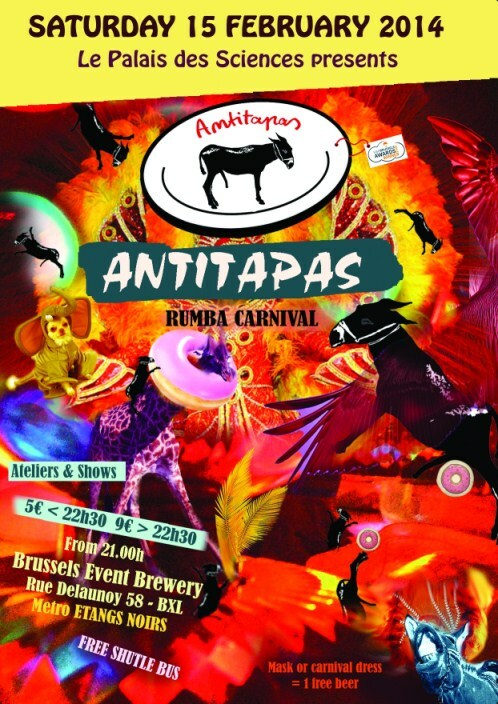 The Antitapas Nights is the perfect example of the endlessly diverse Brussels nightlife, a festival indoor where you can find free food, creativity, circus, ateliers, flavors, cooking experiences, music, live concerts , djs and much more! The 15 February 2014 celebrate the carneval!!! 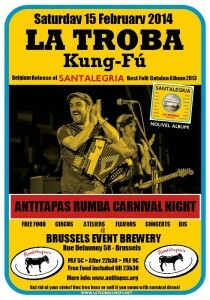 @ Brussels Event Brewery (BEB), Rue Delaunoy 58 – Bruxelles. Relive the orgiastic timeless sensations of the primordial chaos of Carnival. Get rid of your cloke! 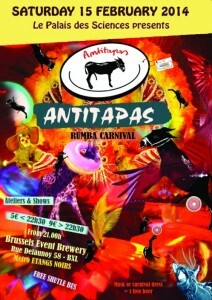 If you arrive with carnival dress you get one free beer or soft!!! A particular mention to LA TROBA KUNG-FÚ, one of the most important European world folk music band, an explosion of sensations through the streets of old Barcelona, the Catalan rumba teams up with other musical genres, even morphs into pop-rock rumba, and is sung in Catalan, but also in English or in Castilian. 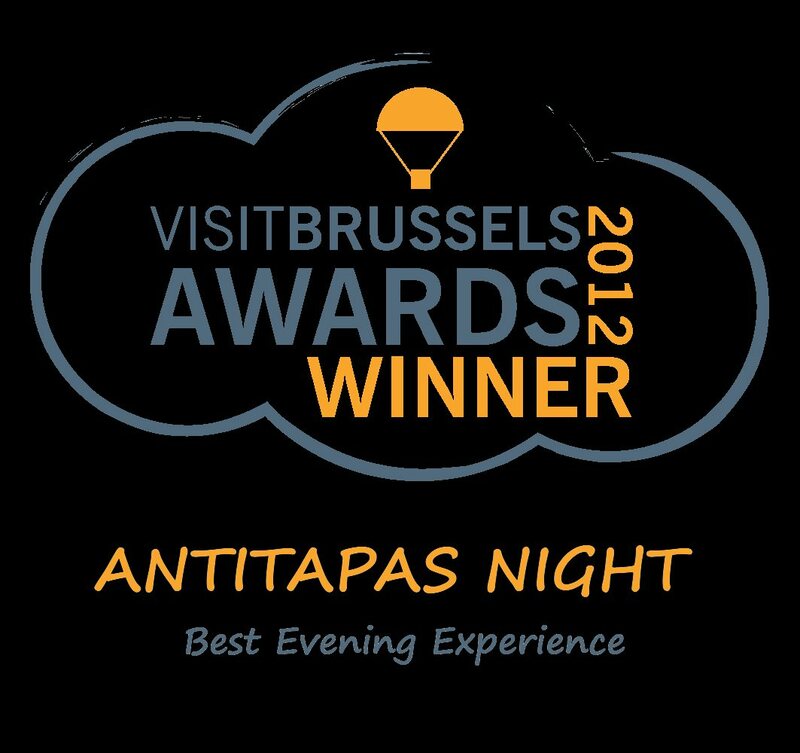 Belgian presentation of “SANTALEGRIA” – Best Folk Catalan album 2013. And the INSINTESI DUB with the EP release of “ROOTS’N’CULTURE” by Elastica Records, this new release they bring their reggae and ethnic influences in a futuristic dub and electronic dimension. it’s a meltin’ pot of old school reggae, dubstep, jungle, bass and roots music from Salento (South Italy).